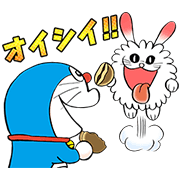 http://www.line-stickers.com/ – LINE NEws x Doraemon x Kanahei x Sangokushi × Rascal x WHERE’S WALLY?Line Sticker | LINE NEws x Kanahei sticker.Tap the start the app button to run LINE News and tap add in the magazine section to get the stickers! Limited time offer! 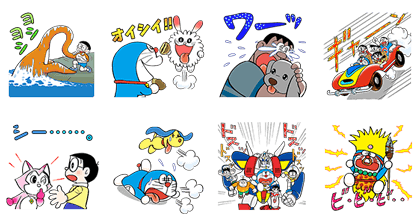 Add 3 accounts of your choice as friends to get these Doraemon stickers! Check out the details for this promotion right away! Limited time offer! 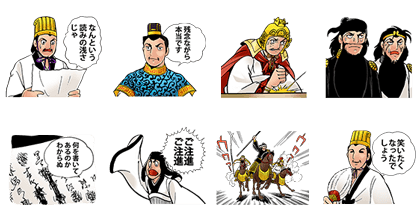 Friend 3 accounts of your choice to get these Sangokushi stickers! Check out the campaign details now. Limited time offer! 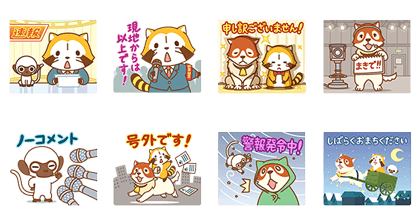 Friend 3 accounts of your choice and get these stickers of Rascal and his friends! Check out the details now. Limited time offer! 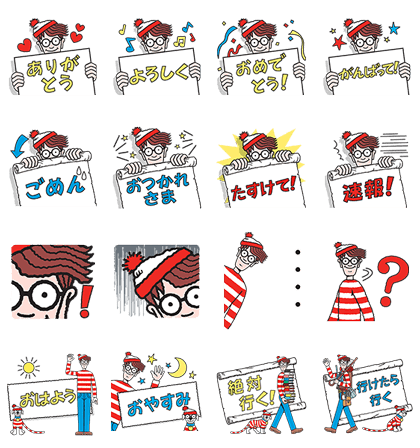 Add 3 accounts of your choice as friends to get these “WHERE’S WALLY?” stickers! Check out the details for this promotion right away! Available till July 27, 2016. 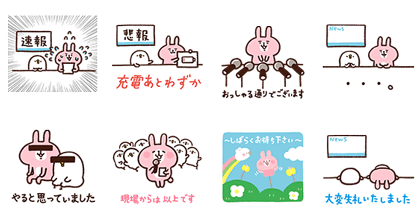 LINE NEWS x WHERE’S WALLY?